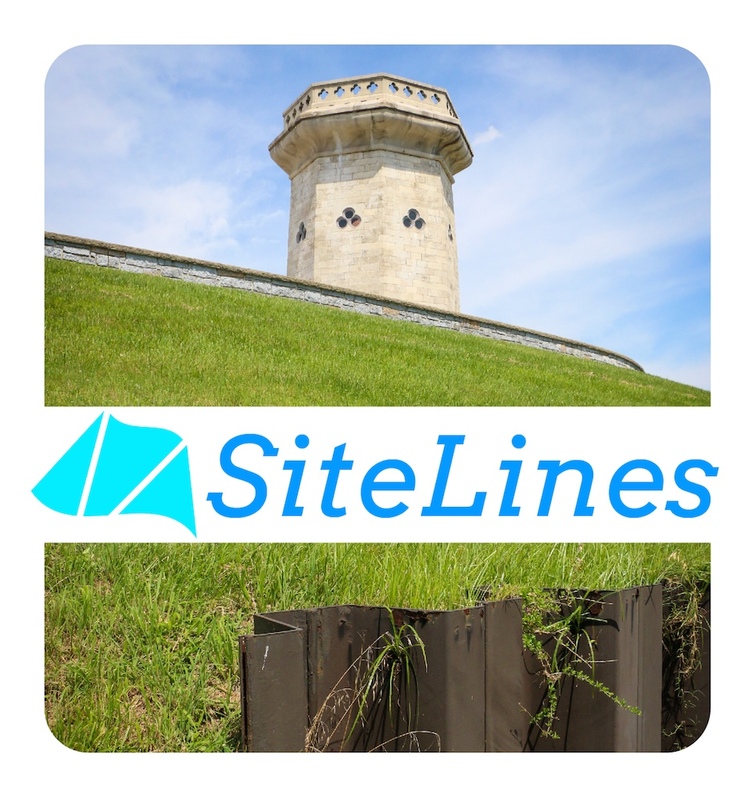 SiteLines Video Walking Tours announced! 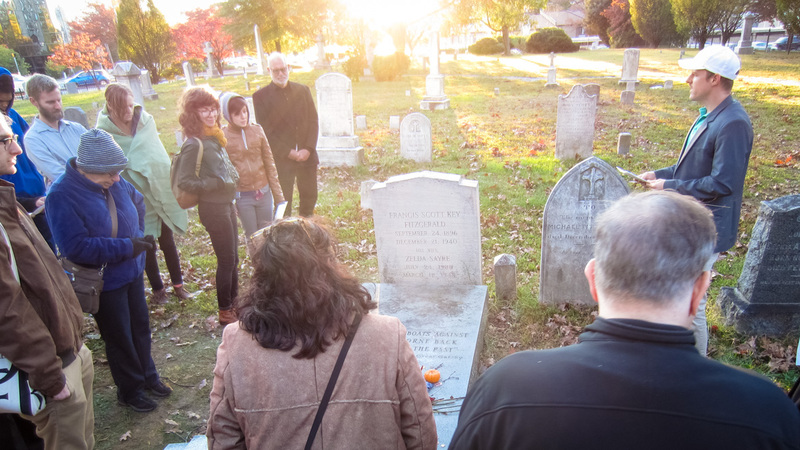 Throughout the month of September, all are invited to join Baltimore public artist Graham Coreil-Allen for four New Public Sites walking tours of invisible public spaces around Baltimore. Including the Highway to Nowhere, Reservoir Hill / Druid Lake, Old Town Mall and Power Plant Live, these tours will be documented for the forthcoming internet video series SiteLines. 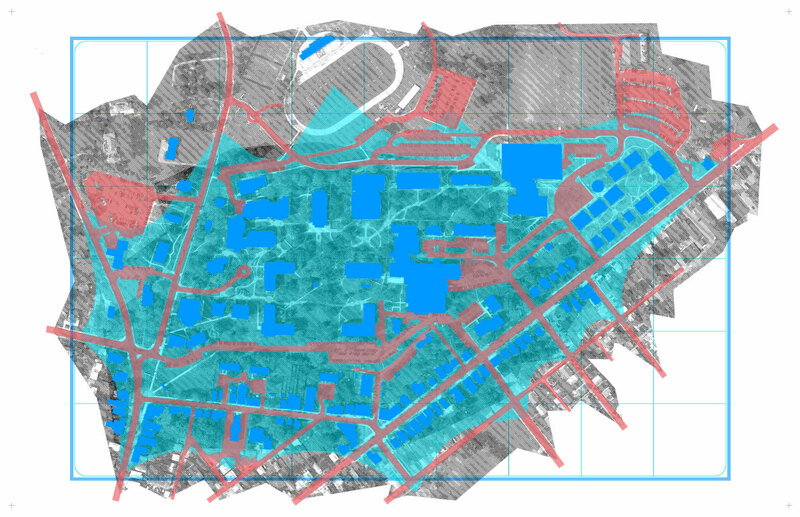 The ongoing New Public Sites project interprets the overlooked and invisible sites within cities, investigates the negotiable nature of public space, and pushes the boundaries of pedestrian agency. SiteLines will translate these radical walking tours and urban design research into sharable, online videos. 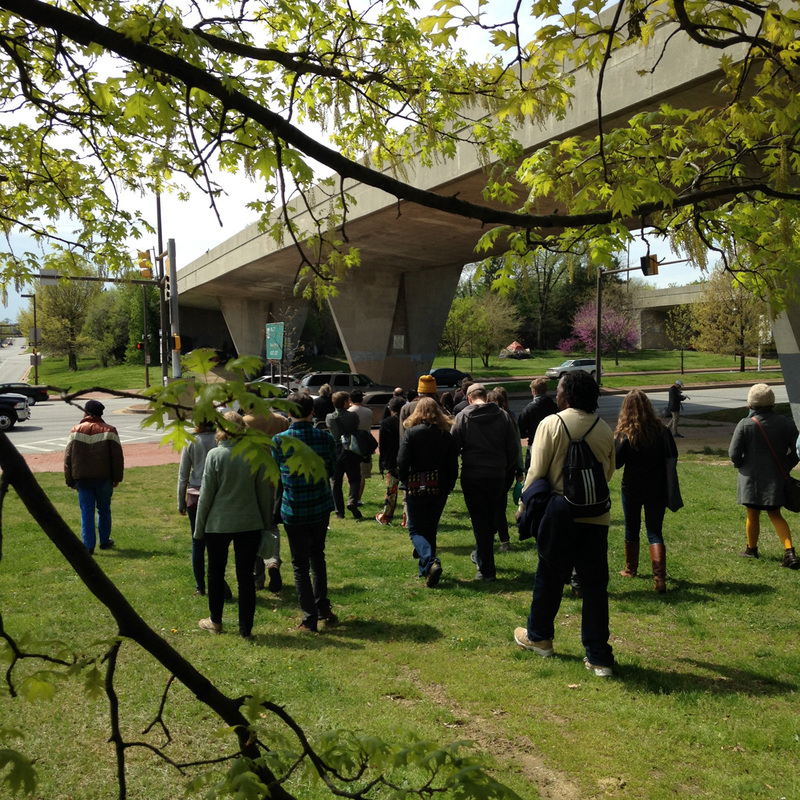 The video production will capture Coreil-Allen and walking tour participants as they playfully explore public space while he shares some of the sites’ histories, design, and uses. The four tours are thematically connected by suburban style development in a city context, including urban highways and pedestrian malls. The entire SiteLines season will be released on the New Public Sites YouTube channel on a periodic basis, then exhibited as part of a larger installation in Baltimore next Spring. SiteLines will present a compelling portrait of Baltimore and its civic space potential through dramatic shots of public space and pedestrian interactions therein. All tours are free and open to the public. Meet at 414 Old Town Mall, next to the Baltimore City Fire Museum at Gay and Orleans Streets. Saturday, September 27, 1pm – Power Plant Alive! 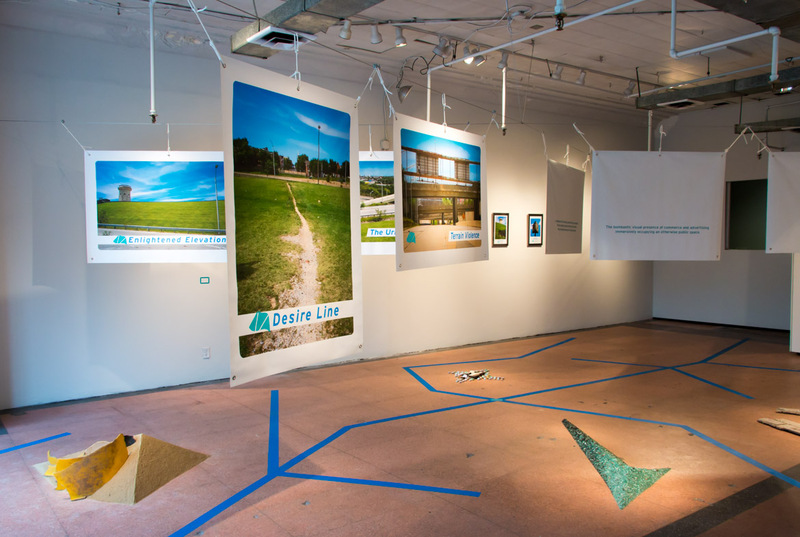 Graham Coreil-Allen is a public artist who explores the constructs and contradictions of cities through videos, maps, crosswalks, and walking tours. Coreil-Allen recently completed the Hopscotch Crosswalks in downtown Baltimore and his walking tours have been showcased around the United States and at the US Pavilion at the Venice Architecture Biennale.